While I am definitely a believer in and lover of the written page (I just love being able to turn the pages of a book and feel the pencil in my hand), I also think that to keep my kids in with the times, it's important to have a good mix of 'old school' books and technology! Blogs are chock full of information (much more up to date than the book that was published in 1981, even if it is a good read), tips, and fun ideas that you can use right that moment. There are also games, printable worksheets, and those inspiring stories by other moms who are trying to do the same thing as me! Here are some places I visit often for ideas, inspiration, and general help! What great helps at this site!! Curriculums, Reviews, methods, you name it! TJEd is a Classical Based Educational theory. I like many of the ideas. 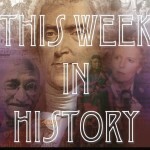 I especially love the 'This Week In History' subscription! It includes many gems of info from history (and today!) including games, activities, etc. You've never seen more information in one spot in your whole life! A great quick resource for pretty much anything! A very popular resource. Nice for those getting started. Also includes a great deal of information on online schools and curriculum packages. Another resource with all kinds of info on curriculums, methods, start-up info, articles, social outlets, and lots of printables! The best way to get all those subscriptions and curriculums! Buy discount by banding together!! Lots of fabulous info on pretty much anything. A fun blog and a lot of organizational tips (always useful)! A subscription based online enrichment for reading and math. They have a free trail which is useful if you're looking for something but not sure yet! A subscription based online curriculum (language arts, math, science, social studies). There are many demos of the lessons and a lot of info/reviews. A great resource for preschool and kindergarten! No fuss lesson plans that cover most all the bases. Easy to use and navigate. Printables for every subject! Coloring pages, fill-ins, games, info pages, fun worksheets to supplement whatever subject you'd like to cover. All kinds of printable activity sheets and craft/game ideas. Subscribe for free to their email and they'll send updates for fun things to do each week! A very useful site full of free lesson plans, Unit Studies, and all kinds of Educational Activities!! The kids version of the Original Discovery Channel! Some education with a lot of edutainment, but still a fun resource! This is a UK based site full of great stuff for all things preschool/kindergarten! Some great resources, printables, lesson plans, etc. They have a great calender that gives all sorts of random 'celebrations' for every day of the year! (Did you know that March First is World Book Day?) Also has Classroom 'bulletin board' printoffs and things to make your room look very fun! Make Playdough: Has lots of homemade recipes...but aside from that, they also have a page with links to lapbooking sites! In the Hands of a Child: The original lapbooking people! The Happy Housewife: Lots of good fun on her blog. This page has info and examples of some lapbooks. Jamie's Collage: another good blog with some great info on lapbooking! 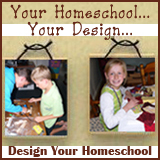 Homeschool Share: A great site. This is the link to the free lapbooking ideas.